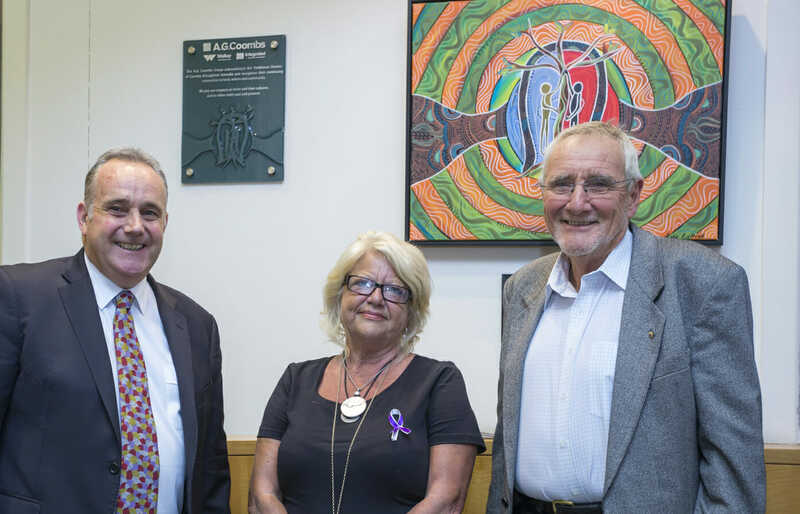 The A.G. Coombs Group of Companies was honoured to unveil a plaque which acknowledges the traditional custodians of the land on which the Moorabbin office is situated. Russell Telford, Managing Director of the A.G. Coombs Group of Companies welcomed esteemed guests saying, “It is especially fitting to have Janet Galpin in attendance given that today is International Women’s Day, and the theme of NAIDOC week this year being “Because of her, we can” which recognises the active and significant roles that Aboriginal and Torres Strait Islander women have played and continue to play at the community, local, state and national levels. Find out more about our Reconciliation Action Plan. We were honoured to have Uncle Allen Madden, Gadigal elder join us for the unveiling of the plaque at our Newington office.